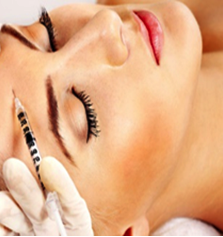 Botox is most often used on forehead lines, crow’s feet (lines around the eye), and frown lines. Getting Botox takes only a few minutes and doesn’t require anaesthesia. Botox is injected with a fine needle into specific muscles with only minor discomfort. It generally takes three to seven days to take full effect, and it is best to avoid alcohol starting at least one week before the procedure. You should also stop taking aspirin and anti-inflammatory medications two weeks before treatment to reduce bruising. Temporary bruising is the most common side effect of Botox. Headaches, which end in 24 to 48 hours, can happen, but this is rare.